There’s nothing like ripe fresh figs! They’re sweet and delicious. Just the other day I picked up a couple of packs of 2 varieties of figs; brown turkey and kadota figs. 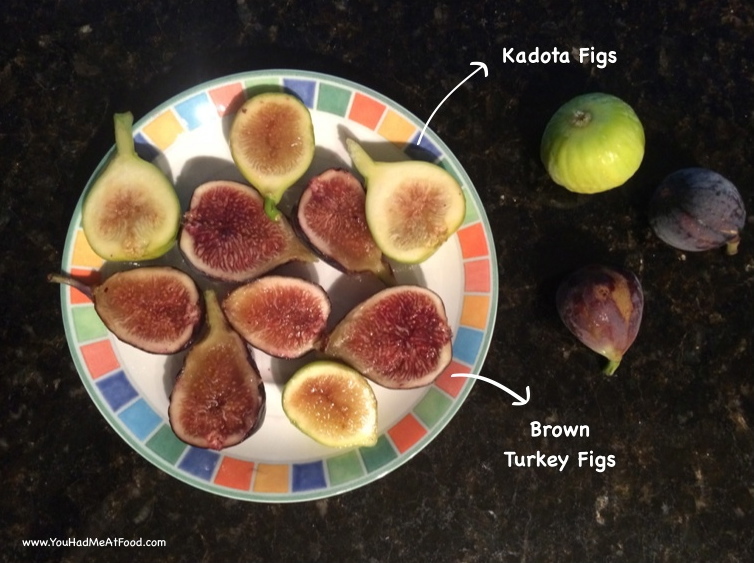 The brown turkey figs are a dark purple/brown color & the kadota have a light green color on their skins. Some of the most popular varieties of figs grown in the U.S. are Brown Turkey, Conadria, Kadota, and Black Mission. They’ve been enjoyed for centuries and it’s been said that the fig is one of the first plants cultivated by humans. Not only are they delicious, they provide many health benefits. They’re low in calories, contain soluble dietary fiber, minerals, vitamins, & pigment anti-oxidants (www.nutrition-and-you.com). Fresh figs are a good source of vitamin B6, protein, calcium, phosphorus & iron, plus are cholesterol free, sodium-free, & fat-free (www.specialtyproduce.com).